The beauty of yoga is that it can be adapted to suit the needs to every body and to any bodies. All that is needed is an open mind and a willingness to explore your body. Yoga is more than the Asanas (physical aspect); there is Meditation (using breath as a guide) and Inquiry (practice of being curious and in self-discovery). With time and patience, yoga will provide you with a greater sense of well-being, which extends beyond your mat. At the moment we do not have a regular basics class, but our classes are open for all levels, and we encourage beginners to come as they are. Give yourself time to learn the practice and the poses. Power Yoga is an intuitive practice, which means you are welcome to adapt poses and/or take a short break in Child’s Pose. We ask that you listen to your body. If you would like more support, we offer PRIVATE YOGA CLASSES and in-class assists. The studio in Far East Shopping Centre is air-conditioned, so please bring a cover-up, however we do get warmed up and sweaty pretty quickly. You’re going to sweat, so bring a towel with you as well. Ensure you bring a water bottle filled with water and/or electrolytes. It is important to stay hydrated. You can either drop in or sign up for any class (unless specifically stated). Come to the studio 10-15 minutes early to familiarize yourself with the space and to get setup for your first class. If you didn’t purchase a class and fill out a waiver online, you will have time to do that as well. Introduce yourself to the teacher! We love meeting new people and she will be able to support you and answer your questions, and it’s the perfect time to let her/him know about any injuries or physical limitations. We do not have any lockers in the studio, so we ask that you keep your valuables at home and turn off or silence your phone. 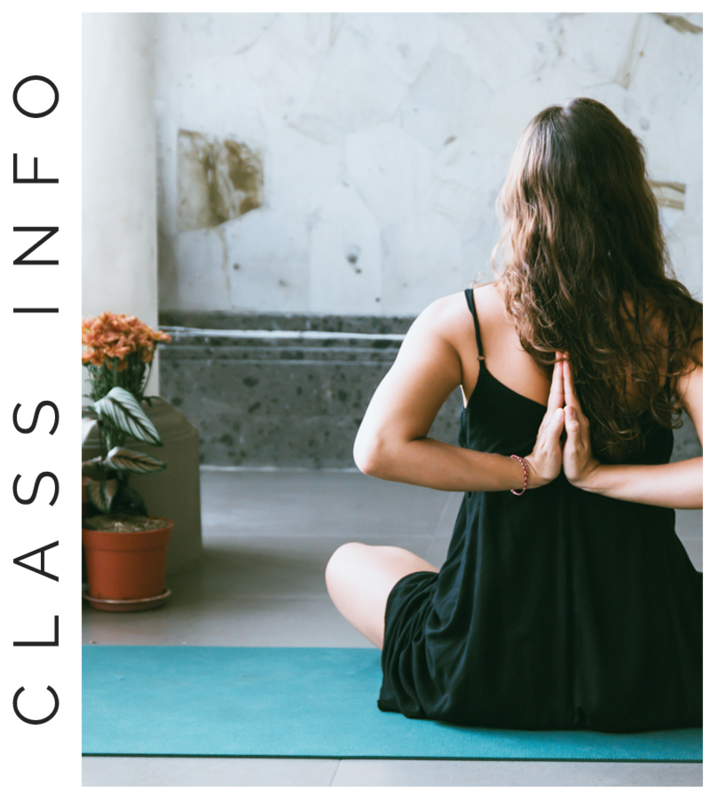 You’ll notice that we do not ask students to stay quiet while in the yoga room because it’s the perfect opportunity to create connection. After placing your mat down and setting up your space, get to know your neighbours! Talk, laugh and share. Out of consideration for others, please try to refrain from wearing strong fragrances such as perfumes and lotions. WHETHER YOU'RE A LOCAL OR A VISITOR, BEGINNER OR EXPERIENCED, YOGI ... WELCOME! We can’t wait to meet you and share our love of yoga with you.